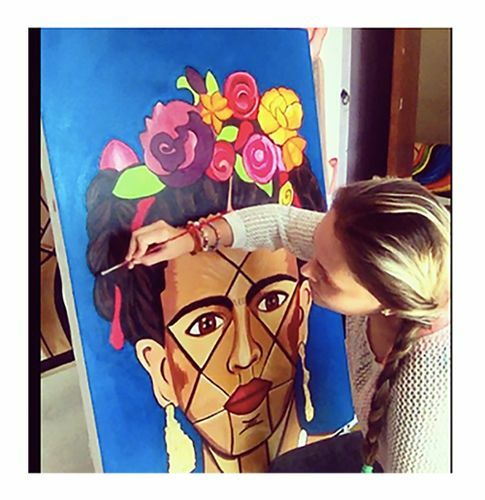 I am a female Mexican painter who loves traveling, music, to write, get to know people from around the world, and live new experiences, but mostly I love to paint, it has been my passion and my full time job for 12 years. I have worked pop art with silkscreen and different techniques, and abstract art also, but figurative artwork has been my favorite since 7 years ago, although I am starting a new Abstract serie, going back to basics. The colors I use in my artwork are inspired in my culture. Cultures and traditions are really important for me. I started painting women because gender equality rights and also because I feel identify by being a woman so i think is easier to express women´s emotions by being a woman. I mixed a lot of techniques to get an innovative style. I am interested in painting Nature, Humans and Animals and the relationship between them.